Where Did the High Revving Four Cylinders Go? I could be wrong, but generally in order to get a lot of power at high rpms the efficiency and cleanliness suffers at low rpms. Instead of having to spin that 2.0 at 8k to make ~200hp (and have slightly dirtier tests) you can spin a 2.4 at 7k and meet standards more inexpensively. Seriously, where did they go? 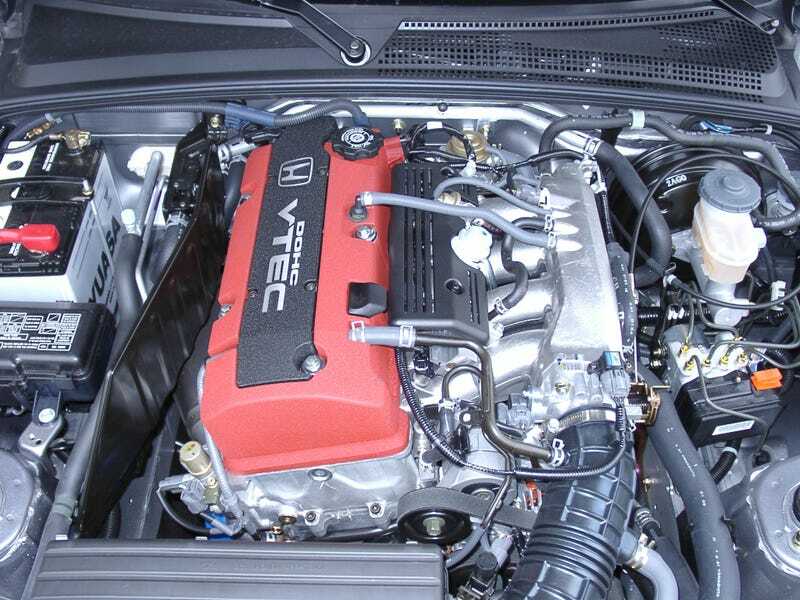 A Honda Civic Si with all its VTAKS and DOHCS is only redlining at 7000rpm(the same as a base Corolla). The Toyobaru ups it a bit to 7400. Maybe all the criticism that motor receives explains the lack of interest in low displacement screamers (not that 7400 is particularly screaming). You can rework an economy motor to 100hp/l and people will whine about a lack of low end torque. Maybe the Alfa can top them all. How could I overlook the most famous builders of a revvy 4 cylinders. Well the 4C tops out at..... 6500rpm. ugh. Am I overlooking a car? This is the future damnit! I want super fast spinning motors!